ATTENTION RENTERS... CAN YOU SAVE AT LEAST $20,000 IN ONE YEAR IN ORDER TO BUY A HOME? 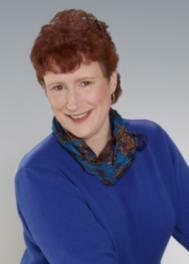 My name is Valerie Osterhoudt, and I am a realtor for Johnson Real Estate, in Cromwell, CT. It came to my attention in the last week that many renters that wish to buy a home next year, 2011 are looking to save their money in order to do so. This makes sense, if you can save *at least* $20,000 over and above what you are currently paying for rent. If you are paying, modestly $1,000 for rent each month.. this would mean you would have to save an additional $1,000 to match your rent and save it for a down payment. That is $2,000 a month you would need to come up with.. mortgages are less than this in some cases. Now with the $8,000 tax credit for first time home buyers and $6,500 for present owners to move.. You are looking at $20,000 dollars. The bad news is the $8,000 tax credit won't be there for you in 2011. Why not speak with a mortgage consultant and see if it is possible to purchase this coming year of 2010. Take the $1,000 you are now paying in rent and put it into your pocket...not someone elses did you know that you can take the interest on your mortgage off your taxes? YOU WILL BE GETTING A $8,000 TAX CREDIT FROM THE GOVERNMENT. It doesn't get any better than this. Not sure who to speak with, I'll be able to help you with this. We are moving into a new year.. isn't it time we do so on a right foot?